The safety of “silver” fillings has come into the spotlight in the last decade. According to a 2006 survey by Zogby International analytics firm, over 70 percent of adults did not know that 50% of amalgam fillings are made of mercury. As the public becomes more educated about mercury, there is growing interest in amalgam removal in Moonee Ponds, Sunbury and other cities across the country. 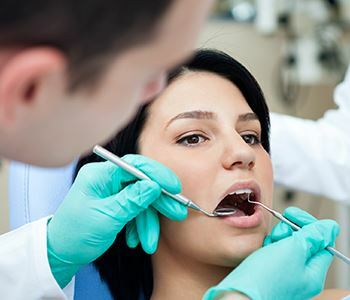 Having a filling replaced sounds like a rather simple process. The old one is drilled out and a new one put in its place. Unfortunately, that simple process can become toxic when mercury is involved. Mercury vapor, as well as dust and particles, may pose a risk to you, the dental team and ultimately the environment – unless they are properly collected and disposed of safely. Dr. Rose is a member of the IAOMT (International Academy of Oral Medicine and Toxicology). As such, he is trained in health-focused, biocompatible dentistry including the comprehensive amalgam removal protocol known as SMART. The name is an acronym, meaning Safe Mercury Amalgam Removal Technique. An amalgam separator is utilised. The room air is filtered. A source of fresh, uncontaminated air (oxygen) is provided for the patient to breath to minimise the risk of breathing mercury vapour. A dental rubber (non latex) dam is used to seal the patient’s mouth, protecting soft tissues and preventing the swallowing of amalgam particulates. The amalgam filling is removed in chunks with cool water to minimise mercury vapour. All captured toxins are properly disposed of, keeping them out of the landfills and water treatment systems.